Internal print servers provide wide and reliable connectivity, investment protection and blazing performance while making Lexmark solutions easy to set up and manage in virtually any environment. 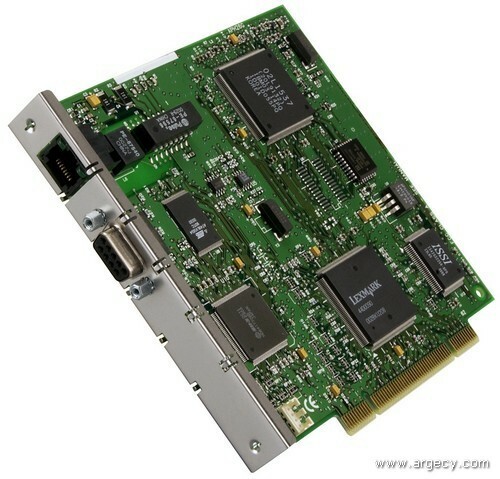 The MarkNet N2003fx series print server provides fast network performance on 100Base FX fiber network. The print servers permit the Lexmark printers to be shared on a network via a multimode 62.5/125um fiber core 100BaseFX fiber optic connection. The fiber connector types supported by Lexmark include: female MTRJ and duplex SC. Network models (n, in, dn models) have a standard Ethernet 10/100BaseTx connection built-in the controller board. Additionally, the printer supports the following optional internal print servers if there is an available slot. The standard Ethernet connection, MarkNet N2000 Series and MarkNet X2000 Series support NetPnP 5.0 or later on Windows NT 4.0 and Windows 2000 systems. The printers with Standard Ethernet, MarkNet N2000 Series internal print servers and the MarkNet X2000 Series external print servers support a Resident Web page with Microsoft Internet Explorer 4.0 or later and Netscape Navigator 4.5 or later for Windows 95, Windows 98, Windows Me, Windows 2000 or Windows NT. The remote operator panel is available using the standard Ethernet connection, MarkNet N2000 internal print servers or MarkNet X2000 external print servers.